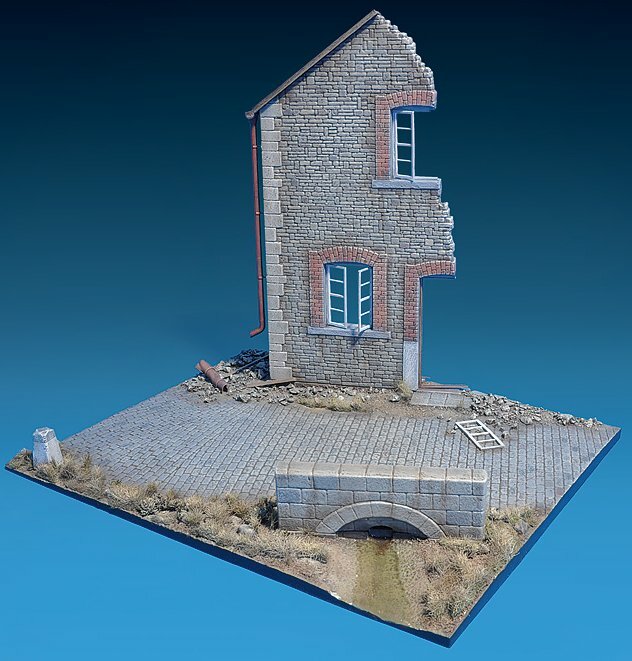 The Modelling News: MiniArt are turning a corner in 2013...Starting in Belgium! 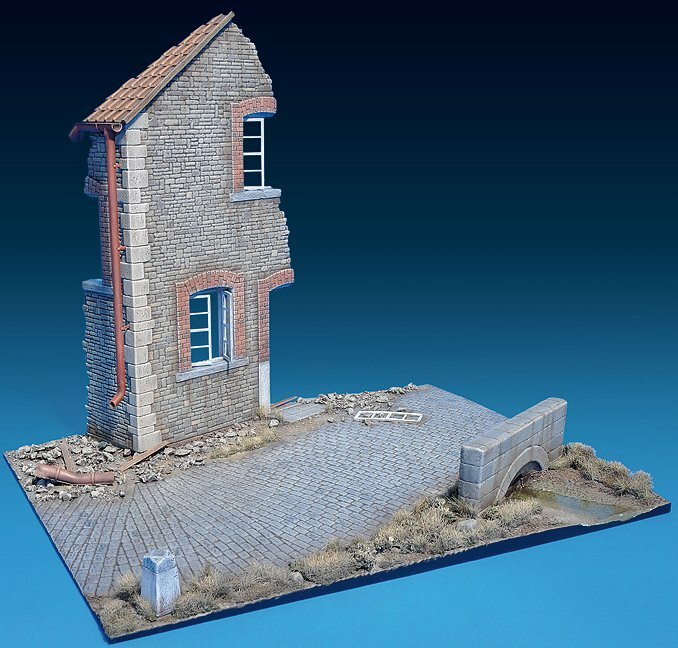 MiniArt are turning a corner in 2013...Starting in Belgium! New in the Diorama series from MiniArt is this – the latest street scene in 1/35th scale – we have the preview of Kit: 36024 “Ardennes Street” for you…. 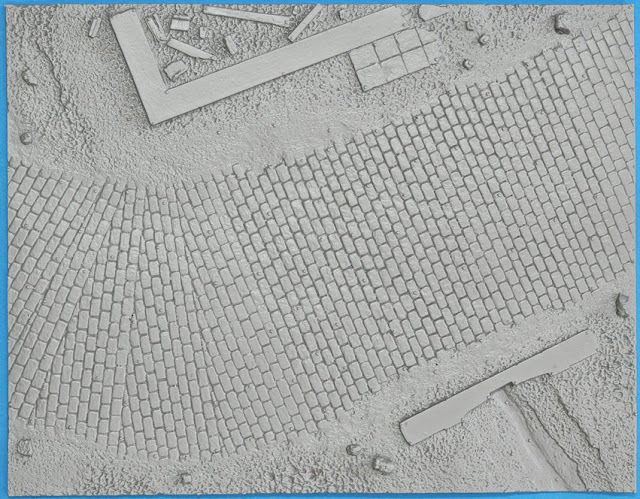 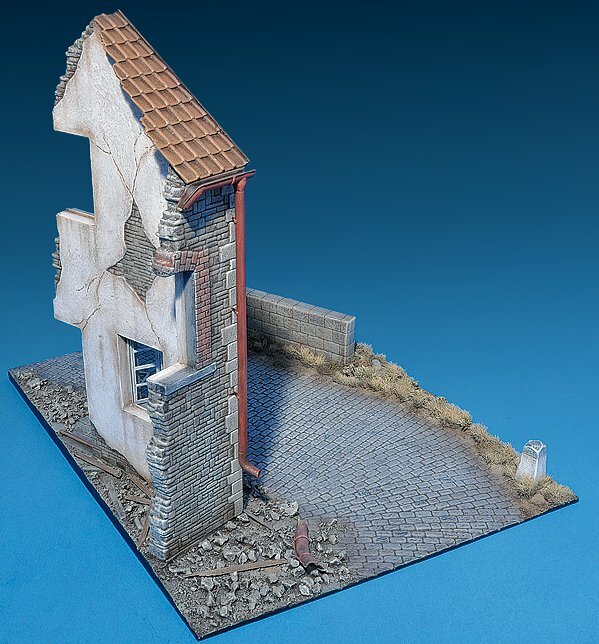 In a kit containing 54 parts, this new scene sees you turning a slight corner on a cobbled street in the Ardennes region of Belgium in WWII – although the Germans went through there twice in WWII you could probably want to make it the “battle of the Bulge” vignette that is so popular with modellers. The vac-formed parts of the building are two large walls with smaller side supports which are snapped off the backing, get secured together and make a whole wall section. 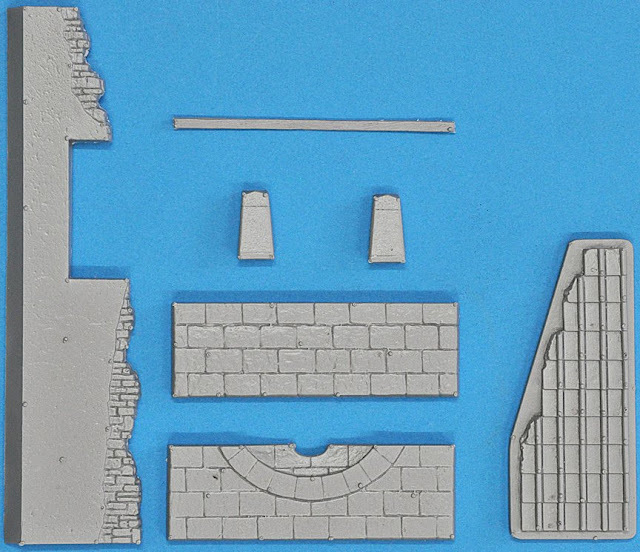 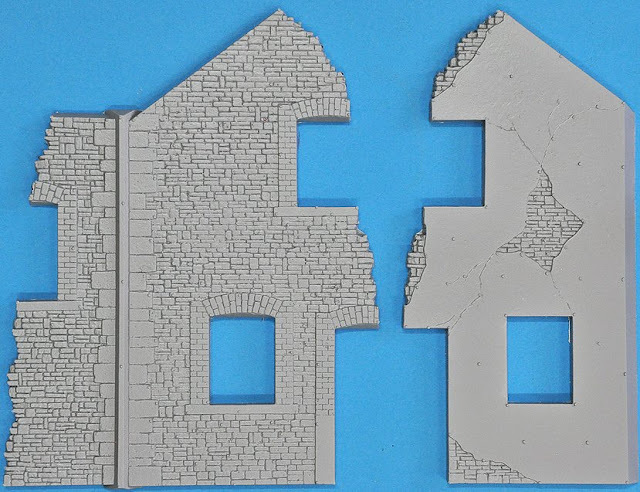 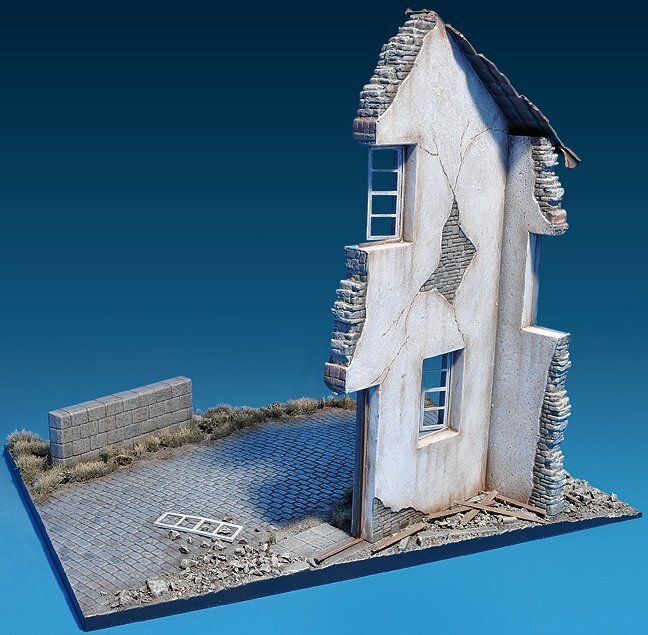 There does seem to be a little more finesse in the finishing touches of this kit – parts like the thin broken off roof tiles and bent guttering show the potential of this kit – I can see a little “trick” in the diorama with an allied soldier hiding in the drain maybe? I like as well the cobbles which ar neatly stacked as they turn a corner – they look very neat and would be hard to replicate in plaster form. 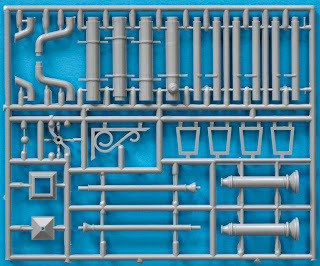 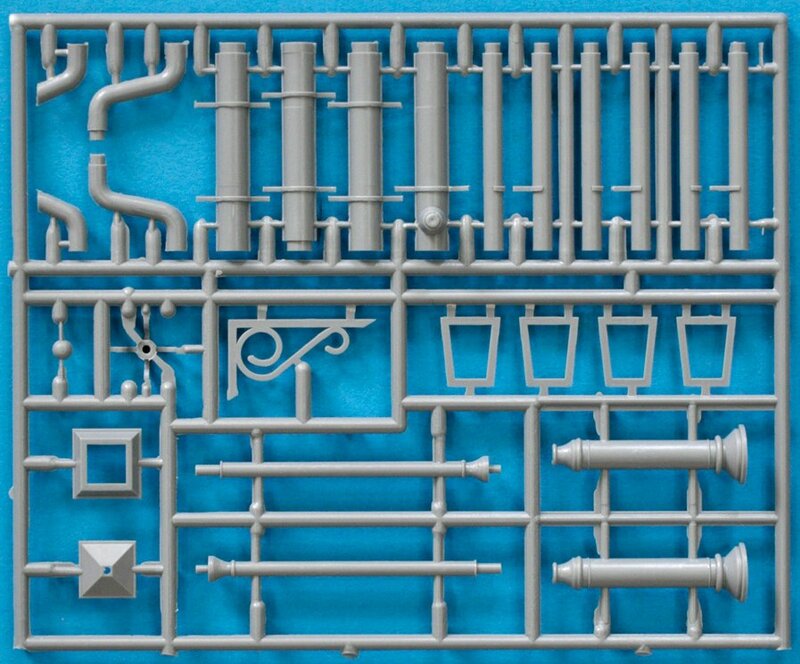 All in all this is another st from MiniArt which will detail up very nicely with some good figures or vehicles – maybe the L1500 trucks or staff cars which look so good? 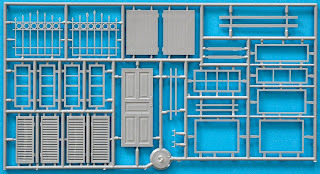 MiniArt are on the “up” aren’t they? 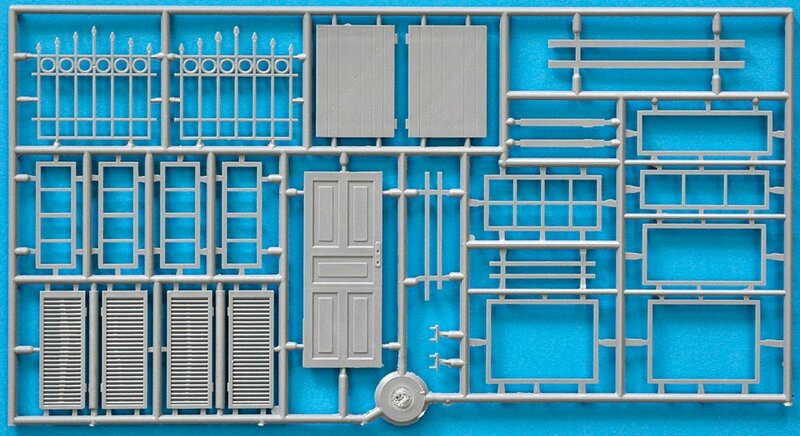 You can find out more about this and all of MiniArt’s other kits at their website..